Cape Malea is a peninsula found in the southeast of the Peloponnese in Greece. It is the second most-southerly point of mainland Greece and in history it featured one of the largest light-houses in the Mediterranean. In ancient times it was a busy shipping lane, and one of the major routes from crossing the North-East Mediterranean to the West. However, the weather in the region was notorious for changing in almost an instant. The most famous event of this happening is in the story of the Odyssey. Homer describes how Odysseus on his return home to Ithaca rounds Cape Malea only to be blown off-course and result in him being lost for up to 10 years by some people's reckoning. The Cape's importance declined with the opening of the Corinth Canal which allowed ships to by-pass the Peloponnese rather than circumnavigate it, however, at present times it still has significant amounts of sea-traffic. In World War II the Nazi occupiers of Greece began construction on a military tower for the purpose of defence and surveillance of the major shipping lane. The construction was halted by the end of occupation in 1944. 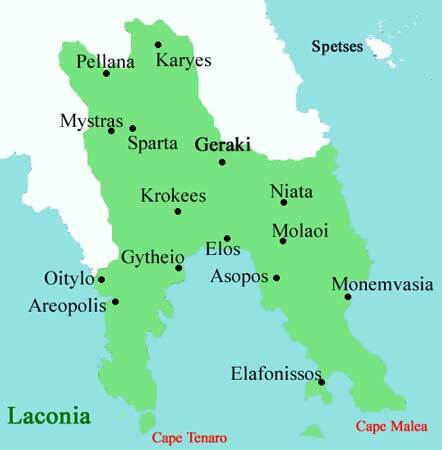 Cape Malea is found in the prefecture of Laconia. 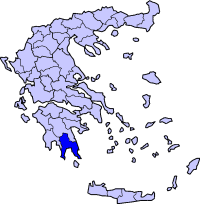 The municipality of 'the Vatika' (Greek:Τα Βάτικα) is found on the southern extremity of the peninsula. Neapoli is the largest town found on the extremity of the peninsula. On the West of the peninsula lies the island of Elafonissos, known the long, light coloured , sandy beaches.